DSP520 is a perfect in-wall speaker choice for impressive stereo or full surround sound with virtually no visual impact to the decor. 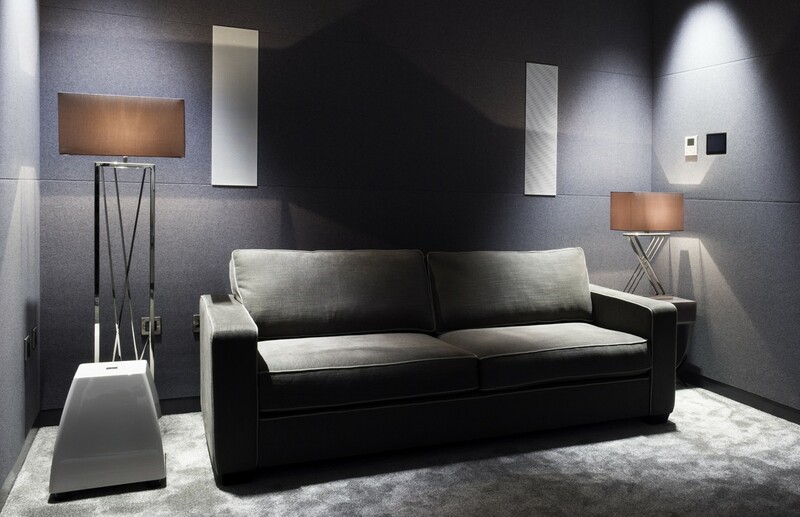 Meridian DSP520 In-Wall Speaker features an elegant profile that is only 203mm wide and is perfect for delivering high-quality music discretely in any living room or home theatre. 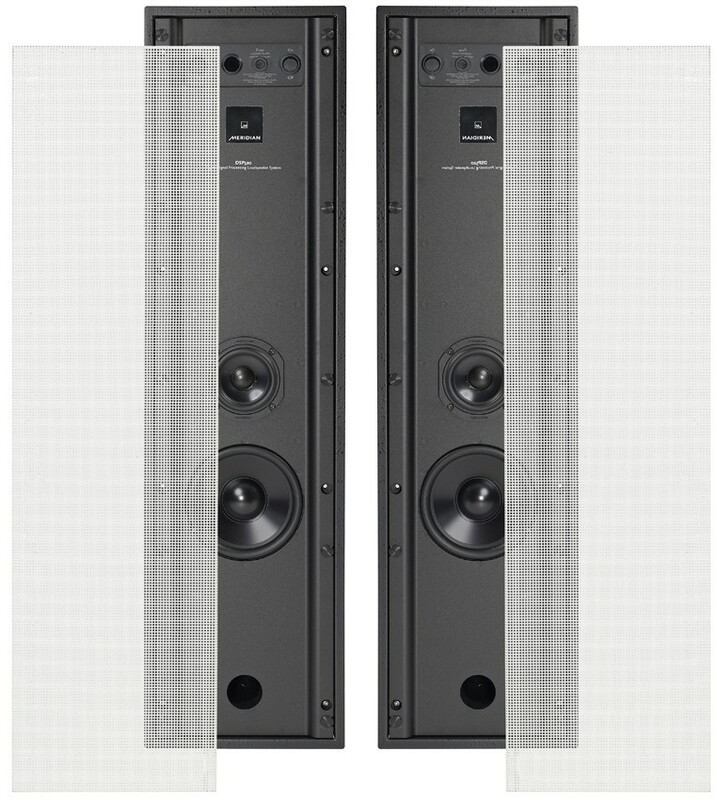 DSP520 inherits the latest audio processing technologies from Meridian’s floorstanders including Enhanced Bass Alignment and Centre Elevation raising the perceived image location for an incredibly lifelike and spacious sound. DSP520 features a single 140mm bass and 85mm wide-range drivers for full-frequency response. Cool running 100W Class AB amplifier is provided for the wide-range driver along with 150W Class D amplifier for the bass driver. 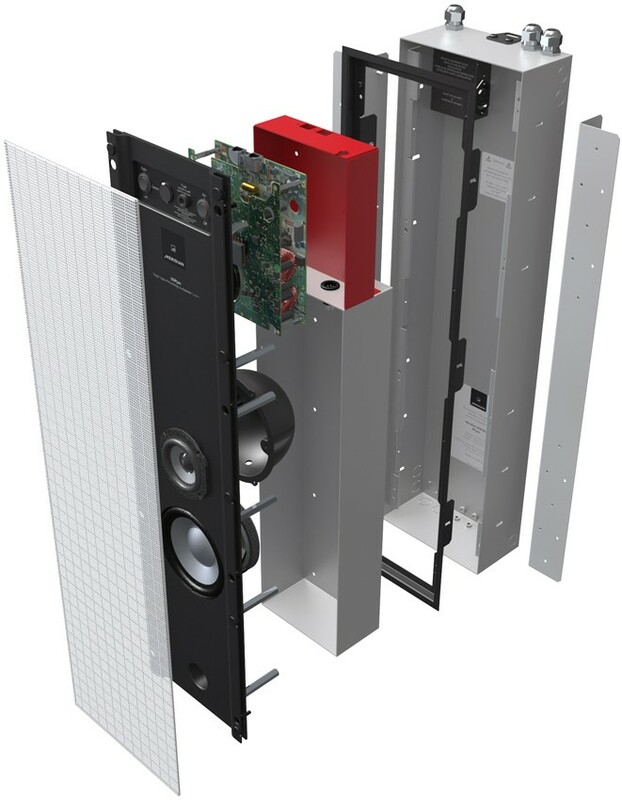 The DSP520 unit is built into a completely integrated, ultra narrow all-metal frame enclosure system delivering full DSP loudspeaker performance in-wall. The self-contained enclosure mounts to a frame based in a flexible and fireproof rough-in box. The back box can be easily and precisely adjusted for various wall materials and depths. 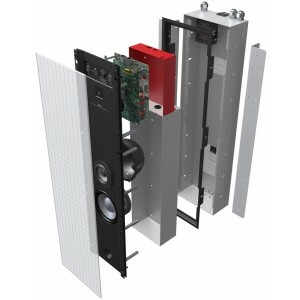 The loudspeaker enclosure is designed for mounting into new-build partition and stud style walls or be retrofitted into stud or brick/stone-built walls. The paintable, perforated steel grille attaches to rubberised magnets in the aluminium extrusion that forms the front panel. The front extrusion carries the on/off rocker switch, fuse holder, an infra-red receptor window and a three-way (Left-Centre-Right) channel selector rocker switch. When switched to Centre, the loudspeaker equalisation is optimised for horizontal centre use. A LED indicator is also incorporated and shows the loudspeaker power status. On-board DSP provides thermal and dynamic bass protection while retaining very accurate transients, ensuring that when the loudspeaker is played at high levels even over prolonged periods of time – it always delivers a clean, detailed and accurate sound. Meridian’s unique suite of proprietary technologies includes Enhanced Bass Alignment (EBA), FIFO buffering, DSP upsampling, apodising filters and MHR (Meridian High Resolution) to get the very best performance from all digital sources. All elements are designed for simple, flexible and precision installation into almost any type of wall. Meridian’s innovative EBA uses two different technologies to time-align high, mid and upper bass frequencies with the low bass for improved bass transients, exceptional imaging and precisely timed audio with added life and transparency. A combination of digital filters and time delays are used to eliminate discrepancies. The frequencies are delayed to time-align them, while upper bass is delayed via special patented filter. This is implemented entirely in the digital domain, making them impossible to achieve in any passive or analogue-active loudspeaker design. Speaker housing is not included but is available separately. Please call us to discuss.